Features many PC-specific customization options. Other aspects than 16:9 are letter/pillarboxed. See the WSGF entry. 70-90°. See RE7 FOV & AR Trainer. FXAA, TAA, FXAA+TAA, SMAA, and SSAA/Resolution Scaling. Can be set to 30, 60 or Variable. Menu is capped at 100. 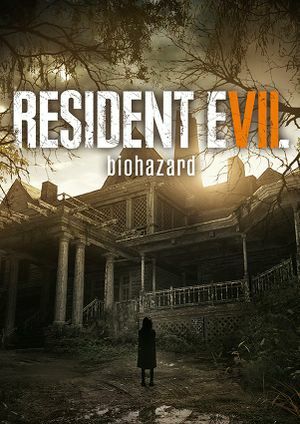 Download Resident Evil 7 3D Vision fix. F4: SMAA toggle. Not disabled by default. F5: Barrel distortion toggle. Disabled by default. F6: Vignette toggle. Disabled by default. Disabled by setting the launch option +set m_smooth 0. Triggers and sticks can not be swapped for lefties. Mouse disables when trying to use KB+M with Steam Controller. Uses Yamaha ViReal for HRTF. Setting dynamic range to Large in-game compresses dynamic range. Set to Small for full dynamic range. Resident Evil 7 VR is exclusive to PlayStation VR for a year. See Helix Mod: Resident Evil 7 biohazard. On some systems, the flashlight beam may be missing entirely and indoor lighting is generally glitchy. ↑ 1.0 1.1 File/folder structure within this directory reflects the path(s) listed for Windows and/or Steam game data (use Wine regedit to access Windows registry paths). Games with Steam Cloud support may store data in ~/.steam/steam/userdata/<user-id>/418370/ in addition to or instead of this directory. The app ID (418370) may differ in some cases. Treat backslashes as forward slashes. See the glossary page for details.